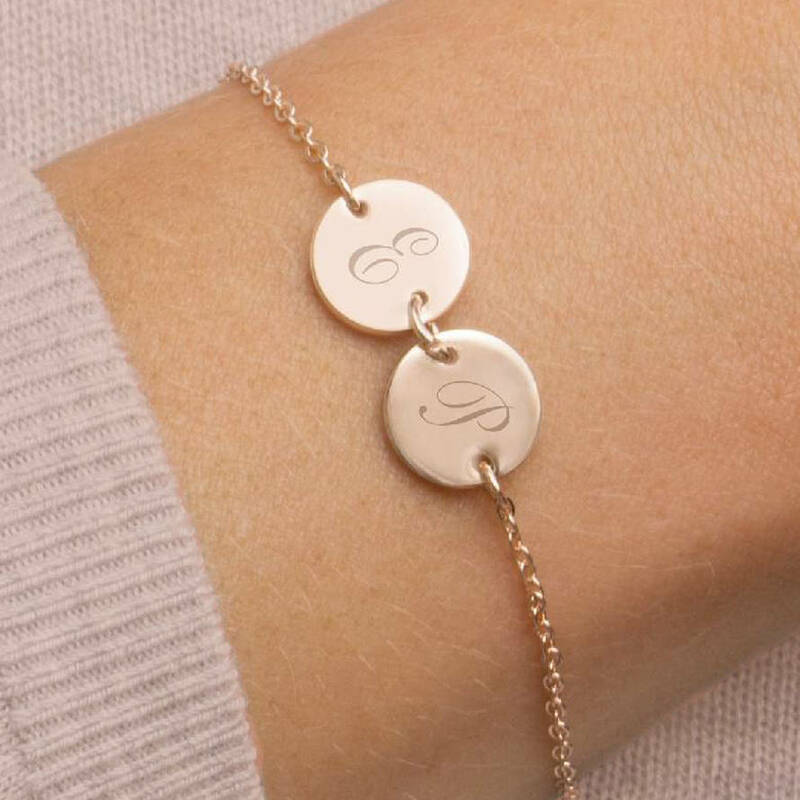 The Personalised Initial Double Disc Bracelet is a stunning modern design available in silver and rose gold with two initials of your choice. 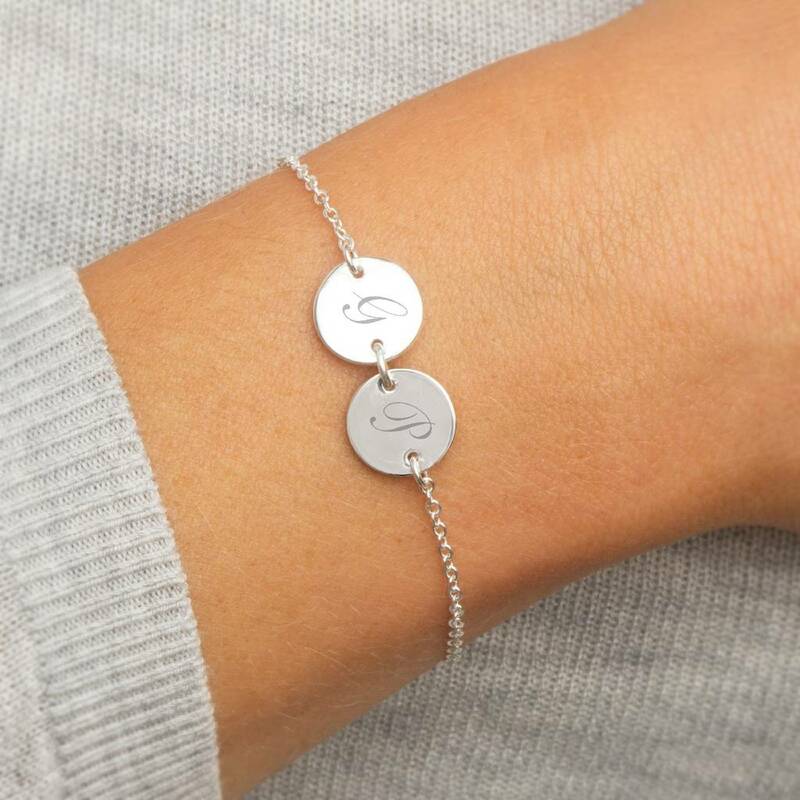 Our Personalised Double Disc Bracelet is two beautifully delicate disks on a fine chain bracelet. Giving a modern and understated look. 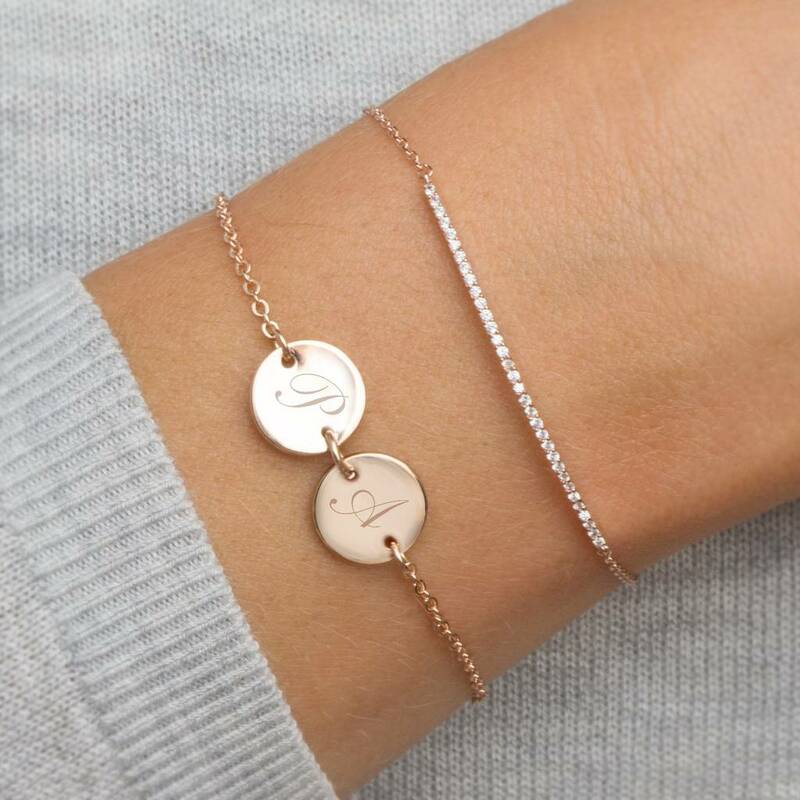 The bracelet comes in adult and childrens sizes making it a perfect gift for any age. 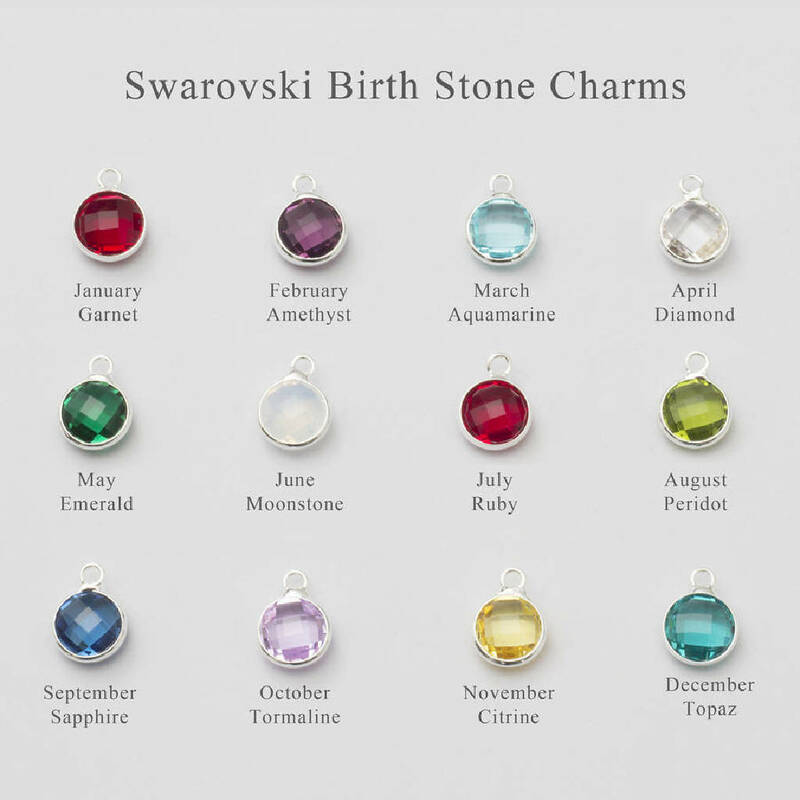 Why not add a Swarovski Birthstone charm in silver or rose gold to make your bracelet that extra bit special!? 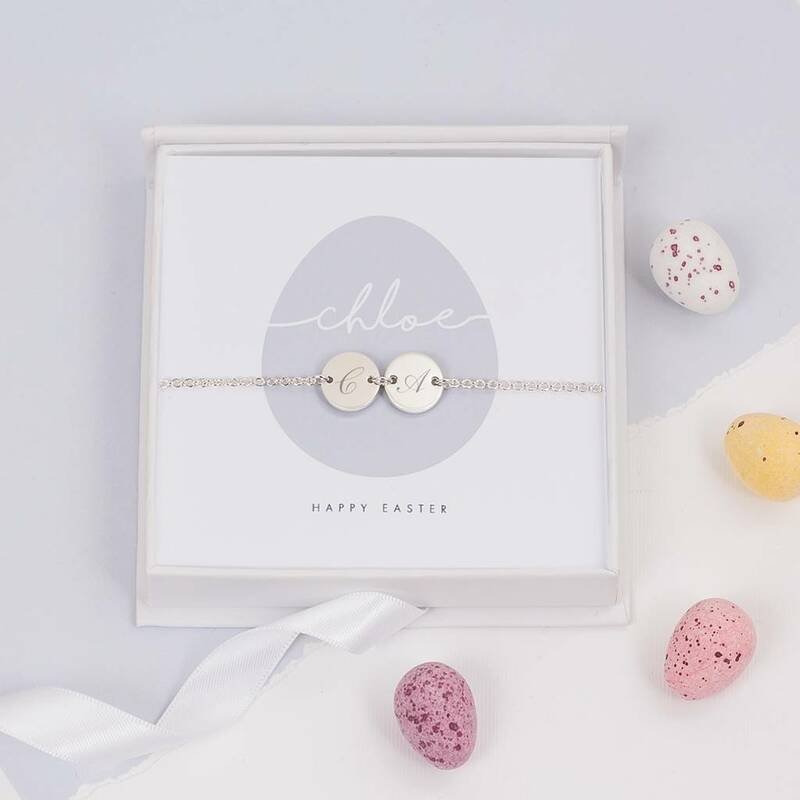 Included with your bracelet is our stunning personalised easter packaging. 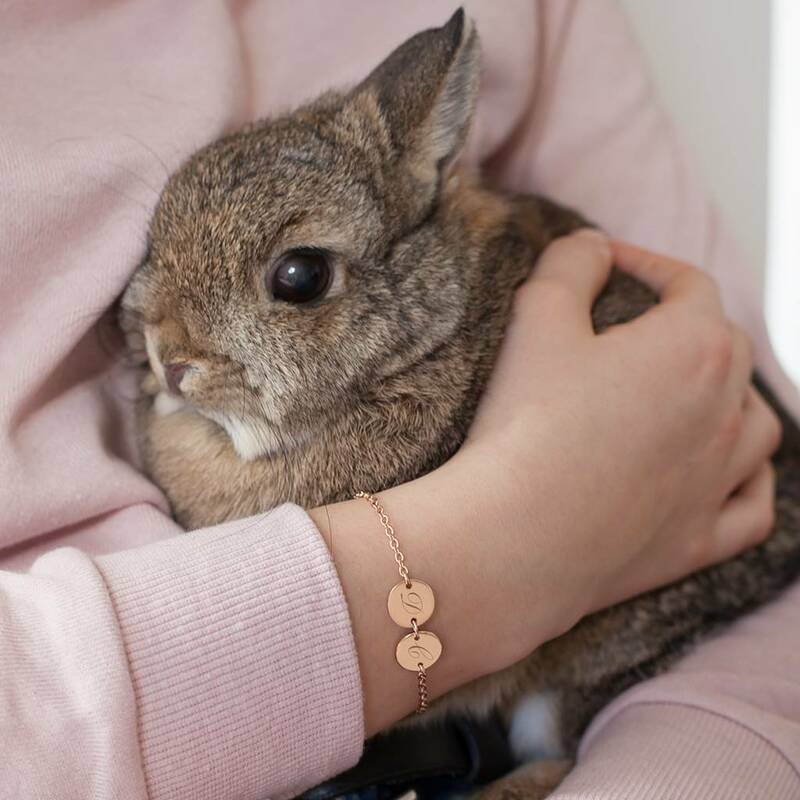 Make this easter extra special for your loved ones or give yourself a wonderful easter treat.